Kit includes 3 PCBs with all surface mount components professionally installed using a reflow process. 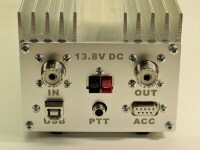 Builder only needs to install through hole components; toroidal inductors, relays, transistors, connectors, etc. Also includes professionally machined case with integral heat-sink, all chassis mount components, interconnects and instruction/assembly manual. Supports auto band select (depending on transceiver) via accessory port. NOW Available QSK Mezzanine add-on board, Select the option when ordering. 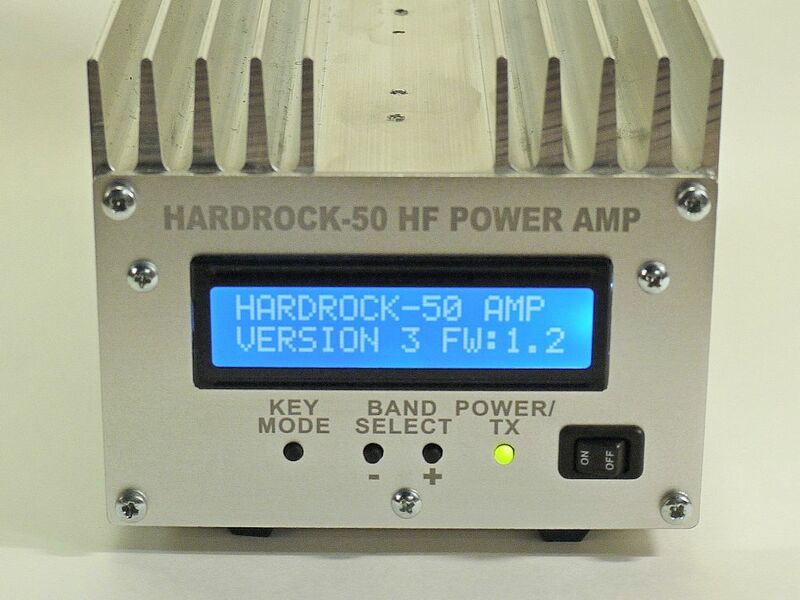 Please note installing the QSK board in a HARDROCK-50 (or any amplifier up to 50W) does indeed allow the amplifier to be switched in and out very rapidly, 20-25 WPM on CW easily. The QSK board does have an impact on the RF performance of the amplifier when compared to an electrico-mechanical relay. On 160-10M this impact is negligible; 0.25 dB less gain, a few watts less output and 0.25 dB in the RX path none of which are even noticeable. On 6M the story is a little different; 0.5 dB less gain, 5-7W less output, 0.5 dB in the RX path and increased input VSWR. There are certain circumstances where these impairments could have a negative impact on system performance. 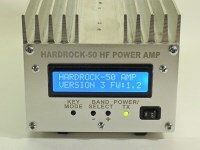 For weak signal work on 6M with a HARDROCK-50 amplifier, the T/R relay will offer better performance.